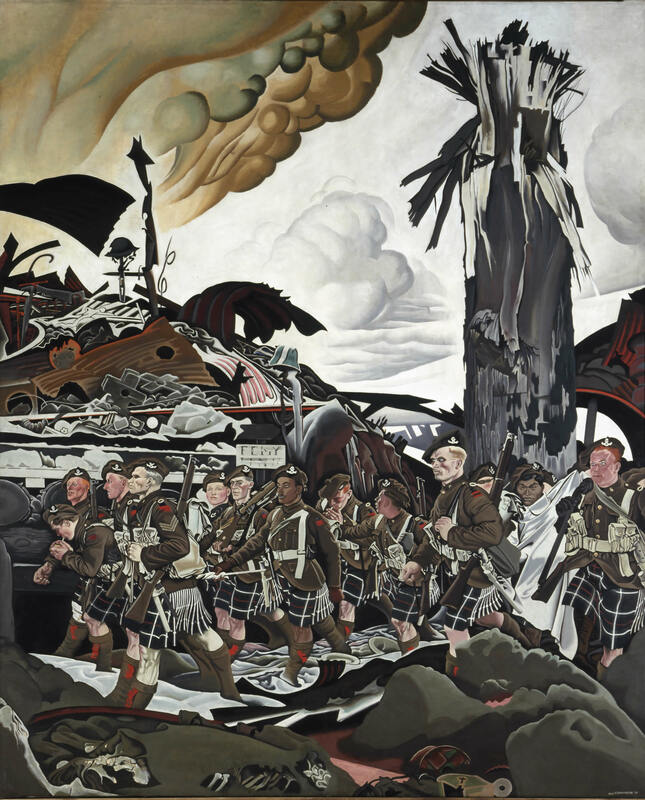 Kilted Canadians of the 16th Battalion, some depicted as pale ghosts, march through a destroyed battlefield of broken bottles, skeletal remains, and informal graves. Eric Kennington originally titled his work The Victims. After its showing in Canada led to objections about the title from the battalion's commanding officer, Lieutenant-Colonel Cy Peck, Kennington renamed it The Conquerors.